Mandy Rush is your RE/MAX 4000 Inc. Broker Associate for Grand Junction and surrounding areas in western Colorado. Whether you are moving across town or across the country, it is important to choose a broker that listens to your needs and understands the evolving real estate market. 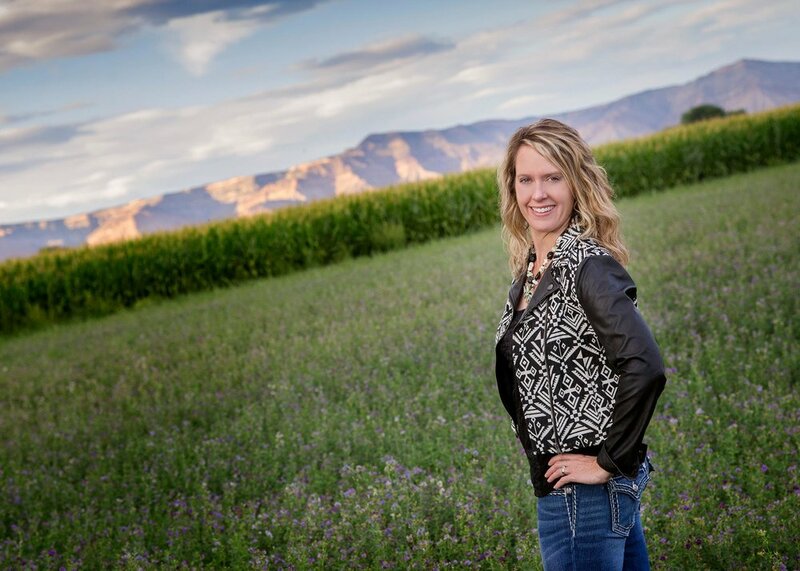 As a native of Grand Junction, Mandy has an in-depth knowledge of the local market and a desire to share the lifestyle Western Colorado has to offer. It is her goal to provide you with superior service at all times! Rural Living At Its Finest! 35 plus acres will allow you to create the perfect horse haven of your dreams. This setting has amazing views, wide open spaces and plenty of irrigation with automatic sprinklers plus a 2-bay detached shop with an oversized garage door. Contemplate all of the wonderful opportunities this property offers while relaxing in the spacious, sprawling Southwest-style stucco ranch home with 3200 sq ft of living space w/ wood beam vaulted ceilings and unique wall architecture. Beautiful kitchen w/ SS appliances, breakfast bar, separate breakfast nook and formal dining room. Master suite w/gas fireplace and double vanity bath w/ separate built-in shower and tub. 3 guest bedrooms with 2 full baths. Rec room with bar and additional living space. Beautiful pasture and hay producing 10 acre property. 3-Stall barn, tack-room, hitching rail, wash rack and pole-barn w/ hay storage are part of the package. Property is fenced; field irrigation is gated pipe on automatic sprinklers. Main home is a 3900+ sq ft 2-story house plus a guest/mother-in-law/bunk house detached ranch style home. Immaculately kept home with an open concept floor-plan on lower level. Kitchen has all stainless steel appliances and a large bar/counter with seating. Nice dining nook area w/ bay windows and views. Living and family room areas. Gas log stove. Outside you will find a covered patio and large fenced backyard and there is a hot tub off the patio area on it's own concrete slab. Detached garage w/ workshop, 2 bays, 1/2 bath and maids quarters upstairs w/ laundry and sink. Ample room for RV and/or trailer parking. Would possibly make a nice bed and breakfast property. Looking for elbow room with views of the Grand Mesa? Southwest style ranch home on 4.70 acres. This unique home boasts an open concept throughout the kitchen, dining room & living room with beautiful tile flooring. 3 bedrooms with 2 full bathrooms and fresh paint throughout the home. Large master suite with bonus room attached that could be used as a nursery, office or den. Great outdoor living space with covered patio. There is plenty of room to build a shop. Bring your horses & toys! Follow Mandy Rush on Facebook!